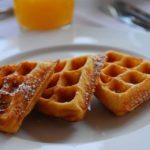 Using carefully proportioned ingredients, such as coconut or rice flour, gluten-free baking soda, and eggs, you’ll recreate the magic of the everyday waffle—in fact, you may not even know the difference. 1 tablespoon Maple Syrup Or another sweetener of your choice like agave, granulated sugar, or coconut sugar. 2 tablespoon Milk Feel free to use almond or coconut milk as a substitute. ¼ cup Organic coconut flour Alternatively use rice flour. 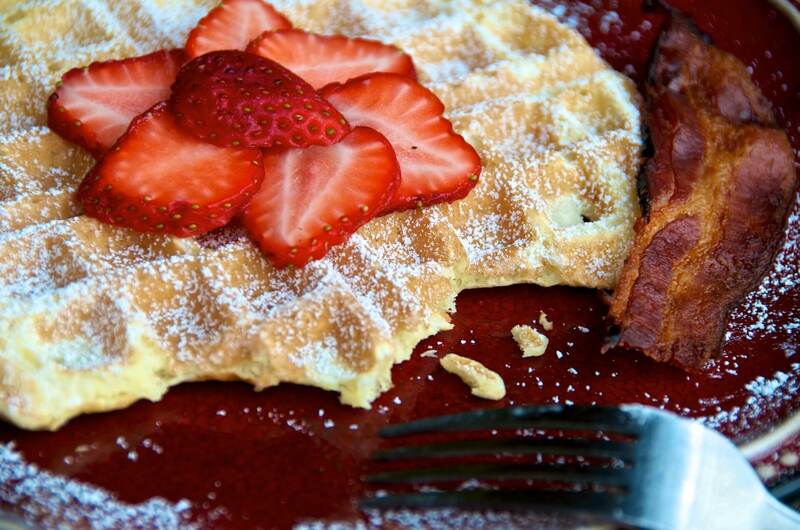 Preheat your waffle iron and wipe or spray the inside lightly with oil. Mix egg yolks, melted butter, milk, water, vanilla extract, and your sweetener of choice in a large mixing bowl. In a separate bowl, combine coconut flour, salt, cinnamon, and baking powder. Add dry ingredients gradually into wet ingredients and mix until there are no lumps. Let batter stand for 5-10 Minutes. If it seems too thick, add 1-2 Tbsp of water. In a separate bowl, whip egg whites into they form stiff peaks. This can be done by hand with a whisk, or using an electric mixer. Fold your freshly whipped egg whites gently into your batter. 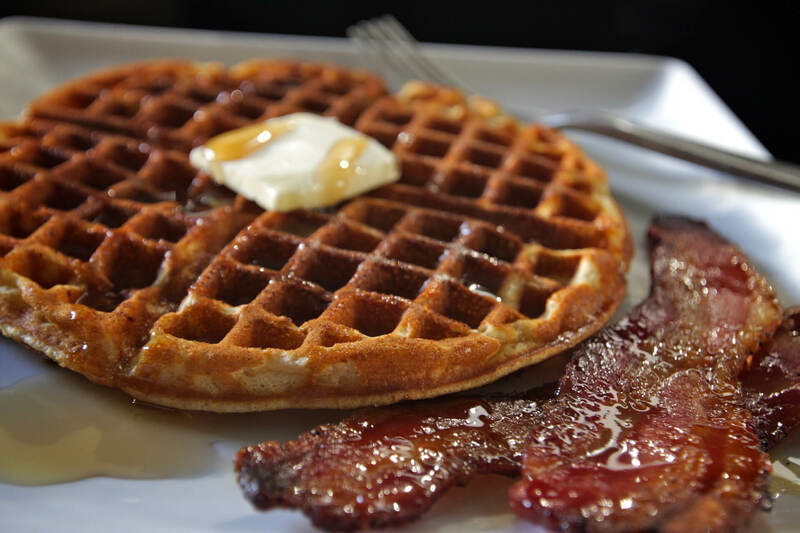 Pour into a hot waffle iron and cook for 2 Minutes until golden brown. 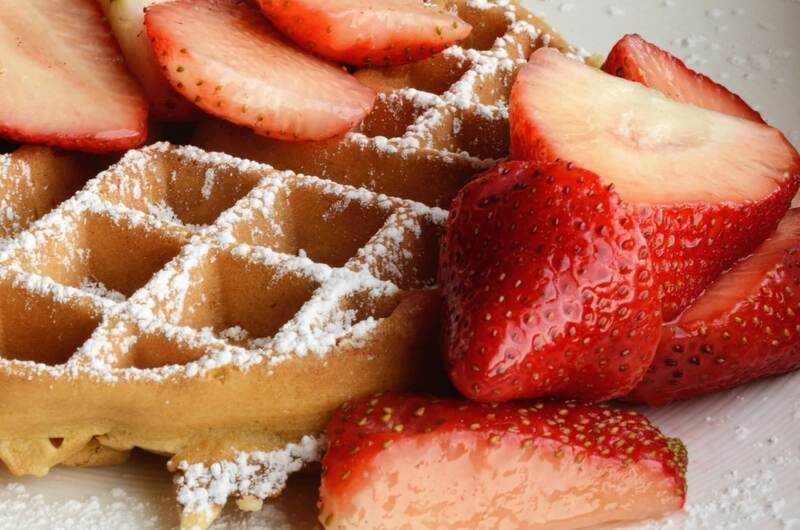 Enjoy with syrup, berries, whipped cream, or powdered sugar! You may also want to experiment with adding small amounts of gluten-free whey protein or flax seed with a splash of applesauce (to maintain moisture balance).